I think it is safe to say that we all had that one band at one point in our lives that really got us into music. The one band that made us go, “Wow, so that’s how listening to music is supposed to feel.” For me, it was Arctic Monkeys. When I was in high school, I used to go to my local library to rent CDs and burn them onto my computer (sorry, iTunes). One of the first albums I obtained was Arctic Monkeys’ first full length debut, “Whatever People Say I am, That’s What I’m Not” (among other gems, including “Is This It?” by The Strokes and “The Queen is Dead” by The Smiths). That album, and the subsequent ones that I devoured later, became the soundtrack to my high school experience; my go-to answer to the feared “what’s your favorite band?” question. 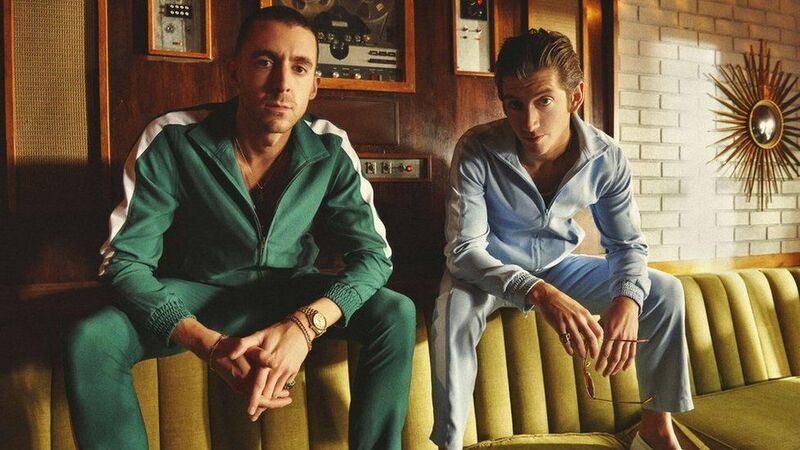 My obsession naturally progressed to lead singer Alex Turner’s side project, The Last Shadow Puppets, a duo with fellow British indie rocker Miles Kane. Their first album, “The Age of the Understatement” (released during the time between “Favourite Worst Nightmare” and “Humbug”) was sufficiently solid. A collaboration between two musicians who naturally want to be frontmen is a risky move; but they made it work. They also included string instruments, a seemingly strange decision that also worked surprisingly well, adding a bit of vaudeville flair to the album. Naturally, when TLSP announced last fall that they would be releasing a new album this spring, I was pretty excited. They have also been featured on some major festival lineups (namely Coachella) and announced an additional North American/European tour. And most recently, they released the first single (and corresponding music video), “Bad Habits,” from their forthcoming album, “Everything You’ve Come to Expect” (below). Cue hesitation. I understand that creating follow up albums after successful debuts is not easy; either you aren’t changing enough or you’re changing too much. That said, TLSP seem to have moved in a frankly annoying direction. Gone are the brooding melodies and clever lyrics that Turner is known for, replaced by repetitive verses and grating vocals. Perhaps I’m being too harsh, or maybe I am just biased by the fact that “The Age of the Understatement” was released directly after my personal favorite Arctic Monkeys album and thus has a similar feel. Or then again, maybe I’m just disappointed that what I really wanted was a new Arctic Monkeys album instead. Whatever the reason, I thus far have not been overwhelmingly impressed by TLSP’s comeback. Here’s to hoping that the rest of “Everything You’ve Come to Expect” will surpass my rather low expectations.